You may take a little longer to get ready than your friends, but your eyebrows are always perfect and your contour makes your cheekbones look amazing! You’ve thought about how you could turn those compliments into income. Have you always wanted to get into the business of beauty? No matter what you want to do in the beauty industry, you’ll need to make sure you’re an expert at it. You can earn your certifications and diplomas in whatever field of beauty you choose by taking TAFE beauty courses at a school near you. Whether you want to do freelance work or open your own salon, education is vital to success. All business owners are spokespeople for their businesses. As a beauty expert, you should be your own moving marketing with your aesthetic. From your hair to your clothes, you need to look the part if you want people to trust you with their appearance. Each compliment on your appearance could lead to a potential client so make sure to dress for success. It can be difficult to start a new business, luckily there are resources to help you write your business plan. Make sure to stay organized and not let yourself become overwhelmed. The best of business plans can be completely useless if you can’t get the funding for them, Whether you’re using your savings or getting a loan, make sure the money is available. Make sure to do your research so you don’t end up running out of money halfway through the process. From at-home salons to retail space, no matter the size of the business plan, it will still need funding to make your plans into reality. 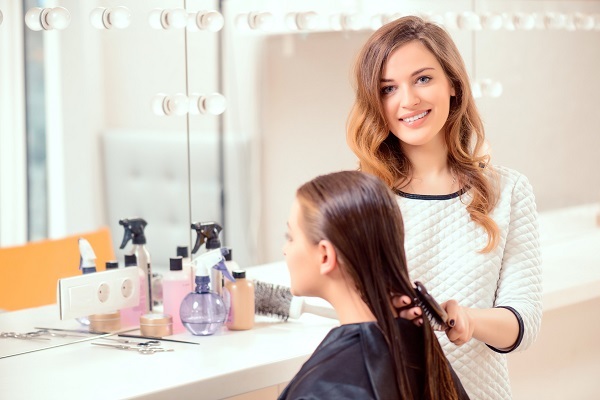 In beauty school, you’ll learn a lot of treatments and methods, but you might not choose to use all of them in your career. Sit down and make a list of treatments that you want to offer at your salon. Do you just want to work with hair or do you want to do eyebrows and nails as well? It’s important to figure out the costs of these treatments including time and material so you know how much to charge to make a profit. To start your business, you’ll probably just need a clean space with good lighting in the right location. What it looks like isn’t as important and can be improved upon later. Focus on things like the customer experience by asking what your friends think about your ideas, what music and lighting should your business have? What colors are appropriate and what about branding? Your business’ name and logo are important to your brand. What can you do to make sure your customers will remember your business and want to come back? Once you have all of your ducks in a row and are ready to open, it’s time to let everyone know. Social media sites can be great forms of marketing that can cost nothing. It’s important to let your friends know about the latest deals you’re offering and to show them pictures of your latest creations. From nail art to the latest color trends, show people what you can do! Next time you get a compliment on your perfect nails, make sure to hand them your business card and get the word about your services out!